Did You Know How Much Fun Your Family Could Have at the MAZATLAN AQUARIUM? 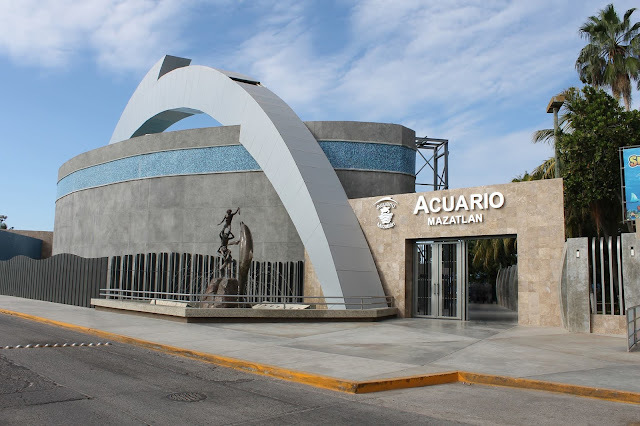 The Mazatlan Aquarium (Acuario Mazatlan) is a great place for your family to visit while vacationing in Mazatlan. While it's not big or fancy, it offers several aquarium tanks with a large variety of marine life, including the Ocean Tank which is the largest in Latin America. In addition, it also has several entertaining shows like a tropical bird show, seal show, shark diving show, and several other attractions. The Mazatlan Aquarium (Acuario Mazatlan) has several large tanks which display a large variety of different types of marine life. But the most impressive is the new Ocean Tank. Completed fairly recently (in October 2008), it allows a view into the depths of the ocean, housing many different types of ocean life all living together as they do in the ocean. Because of the large size of the tank (1,600,000 liters of water), it has room even for large sizes of marine life, like sharks, sea rays, and giant sea turtles. Other shows and exhibits are the icing on the cake! Diving Exhibition - in the Shark Tank! Enjoy the excitement of watching a diver enter directly into the tank with the live sharks. He also interacts with the turtles and other large sea creatures. And to top it off, he teaches how scuba diving equipment works (You just might get the itch to take some scuba diving classes as well while you're in Mazatlan!). This is true entertainment for you and your family! The show consists of a group of tropical birds (Macaws and Cockatoos, along with their trainers) singing and dancing to prove just how intelligent they really are. The Sea Lions are also delighted to put on a good show for you! In the water and in the air (with plenty of splashing in case you wanted to get wet yourself), Bony, Toby, Cili, Ely, Lili, and Tito know how to move! What's really special is that each of these sea lions were rescued. They arrived at the aquarium with different injuries, and the Aquarium staff nursed them back to good health and trained them to do the show. There's also a botanical garden to explore, crocodiles that you can watch, and a frog habitat. All in all, the Aquarium is sure to be a fun event for your family during your vacation in Mazatlan. If nothing else, do it as a break from the beach and sun. Larry Flathmann helps families to enjoy vacations together in Mazatlan.